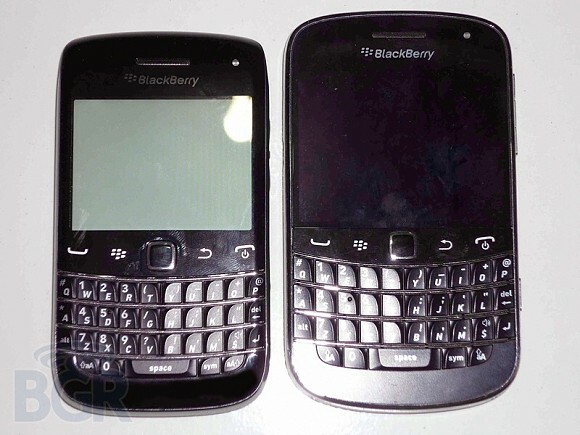 The BlackBerry Bold Touch 9900 already has the title of the thinnest smartphone to come from RIM. The rest of its measures however, could have been more pocket friendly, leaving a lot of BlackBerry fans out there, wanting a device, which, in terms of size, is more in line with the previous generation of BlackBerry Bold handsets. As you can see in the picture above, RIM is about to answer those grievances in the nearest future with the BlackBerry Bold 9790. The soon to be released member of the Bold family is rumored to pack the same specs as its bigger brother - the 9900, but in a much smaller package. The touchscreen will be present as well, making its functionality rather questionable, due to the smaller size, compared to the BlackBerry Bold 9900. The handset's size and form factor will likely be the key reasons to select it over the current BlackBerry flagship. After all, the Bold 9790 sees the return of the Bold 9700 form factor. The BlackBerry Bold 9790 is expected to launch in the immediate future. As always, we will keep you posted. Dear BlackBerry, I am happy to see a updated 9780 coming out as the 9790. Few pointer; leave the LED where it is on the 9780. Please no touchscreen i hate them. I agree with Victor but you know RIM always conservative about there upgrades.